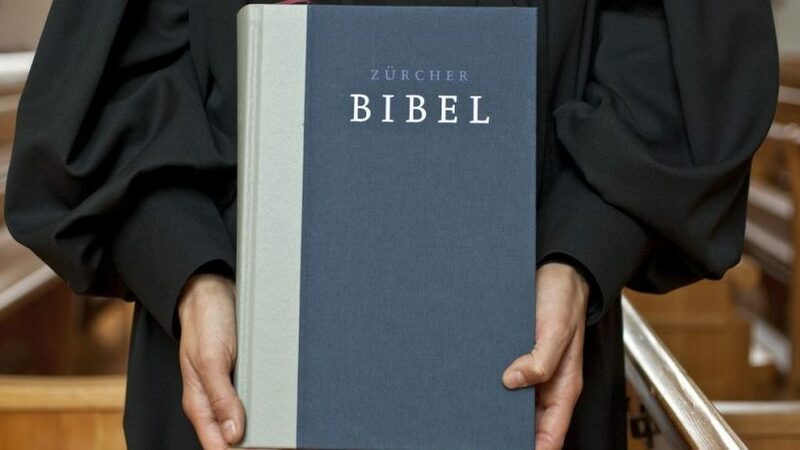 This new edition of the Zurich Bible came out in January and the editor has agreed to ‘sit down’ for an interview about the volume. I’m looking forward to sharing our exchange with you. More anon. Along, of course, with the rest of the Old and New Testament books. TVZ have sent a review copy of this edition, for which I thank them. 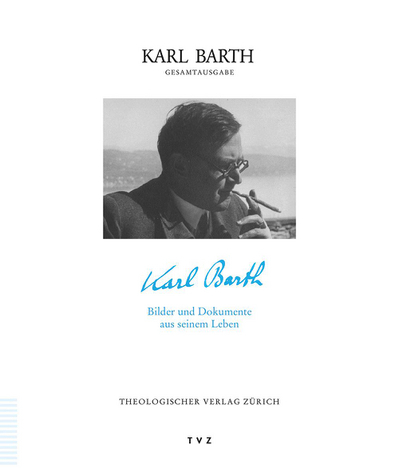 Karl Barth: Bilder und Dokumente aus seinem Leben. From our friends at TVZ. I’m very confident it is something that will interest Karl’s friends. Heinrich Bullingers theologisches und religionspolitisches Wirken war unlösbar mit einem historisch orientierten Verständnis der Welt verknüpft. Bullinger war Nachfolger Zwinglis und Vordenker eines Protestantismus, der in seinem theologischen Kern bis in die Verfassung und politische Kultur moderner Staaten ausgriff. Er war aber auch zeit seines Lebens als Historiker tätig. 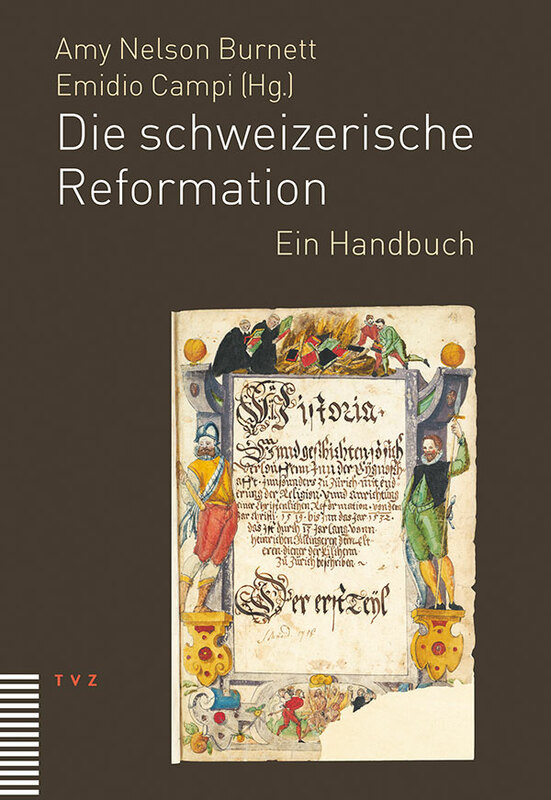 Das Ergebnis der langjährigen Studien waren drei imposante Geschichtswerke zur Eidgenossenschaft, zur Reformation und zu Zürich. Nun liegt das dritte und letzte vollendete Werk, die Tigurinerchronik, erstmals ediert vor. Die drei Chroniken greifen inhaltlich und argumentatorisch eng ineinander. 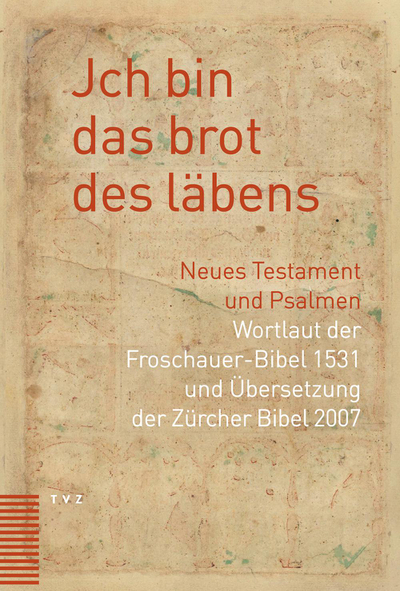 Es gelang Bullinger zwar nicht, die eidgenössische Geschichte in eine abschliessende Form zu bringen, aber er konnte im Dezember 1574 die Reformationschronik und die Geschichte von Stadt und Landschaft Zürich, die «Chronik von den Tigurineren und der statt Zürych sachen», seinen «günstigen herren und fürgeliepten bruederen» des Chorherrenstifts zur Aufbewahrung übergeben, «daß sy nitt verloren / verdinset [entwendet] oder veruntrüwt / und undergetruckt werde». Read the rest of Regula’s review of the three volume critical edition of Bullinger’s opus magnum. A review copy was graciously sent in July and I’ve now made my way through the work. The three volumes in this set are comprised of the famous historical survey composed by Bullinger towards the end of his life titled the Tigurinerchronik (hereafter TC). The Zurich Chronicles. This work is not to be confused with the 3 volumes of Bullinger written on the history of the Reformation- his Reformationsgeschichte. The two works differ in scope and in focus. TVZ’s new critical edition of the TC is comprised of three volumes. The first two are the work itself and the third is a tremendously important supplemental volume the contents of which I will describe shortly. Volume 1 contains books 1-8 of the TC and is prefaced by a foreword, an introduction to the work, and a word of appreciation for the work’s many important supporters. More precisely, Peter Opitz and Martin Rüsch take a couple of pages to set the stage for the work that follows. 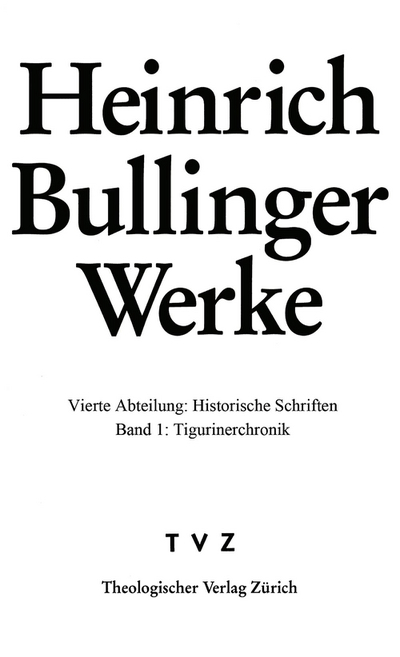 The introduction, written by Hans Urs Bächtold, discusses Bullinger as historian, the TC’s development and history, the chief manuscripts incorporated into the present critical edition, and printed forerunners of the work. The critical edition of the TC is offered exactly as presented in the oldest manuscripts, including morphologically and textually. Readers will experience what the first readers experienced in every respect save the font utilized. Modern Times Roman-esque print in used instead of the Fraktur-esque font of the first printed copies. References to the original works are found in the margins so that interested researchers can find the source pages without any difficulty at all. Sentences are also numbered so that locating a particular piece of information from the index is very simple. Copious footnotes are also provided and these contain historical and linguistic/ textual information. Also contained in the margins are subject indicators, so that readers can find matters of interest and follow the argument of the work at a glance. These, naturally, originate with the first printed editions and are here faithfully reproduced. The language is, naturally, the German of Bullinger’s Zurich. Readers will need to have that language well in hand or at the very least be willing to look up uncertain words in the lexicon provided in the third volume. There are also swaths of Latin. Pages in the two volumes are numbered consecutively, so that volume two does not begin with page 1, but carries on where volume one left off. This makes finding items referenced in the Index quite simple. Concerning the Index, it is found in the third volume of the work and it too is very much a work to be consulted. It begins with an overview, chapter by chapter, of the contents of the TC. Second, readers will discover the very useful lexicon or glossary of unfamiliar terms. Bullinger’s German, like Zwingli’s, was particular and at times idiosyncratic. So a glossary is provided for terms that, while common in Zurich in 1575, are not so common any longer. Third, a listing of printed sources is provided. Fourth, hand written sources are listed. Fifth, a modern bibliography is provided. Next, an index of persons and places. And finally, a series of photographic plates of Bullinger’s original hand written work. This work is encyclopedic. And it is brilliantly executed. Besides simply reading through it as a narrative work (which readers certainly should do), it is also immensely useful for tracking down various persons and their doings from the perspective of Bullinger’s point of view. So, for instance, one of the more interesting person (who nonetheless is hardly known outside of specialist circles) is one Conrad Hoffmann. 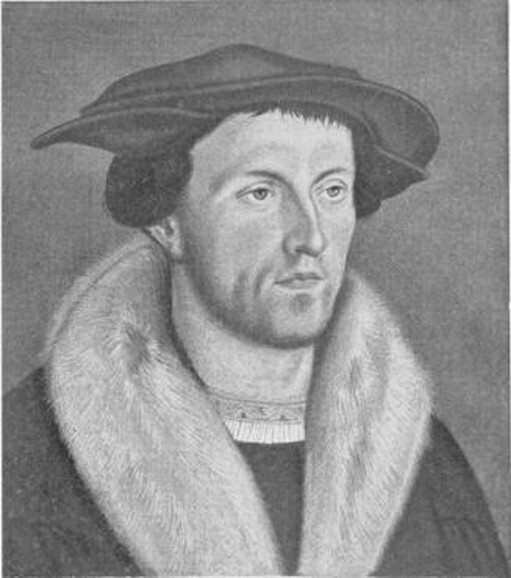 Hoffmann despised Zwingli and the entire time Zwingli and Hoffmann were in Zurich together (from 1519 till 1524 when Hoffmann left) (Hoffmann died in 1525), Hoffmann was Zwingli’s constant foe. Making use of the index of persons, one can easily discover the places in the Chronicle where Hoffmann is mentioned: 380:28 (that is, page 320, line 28), 399:13, 1184:24, 1222:20, and 1229:16. Reading through those passages one discovers that Bullinger is thoroughly capable of objectivity and rationality unimpinged by personal sentiments. Bullinger, in other words, is an excellent historian. And that, I suspect, is the key to the work. That is, readers can take Bullinger seriously and they can take his historical reconstruction as unbiased and accurate. 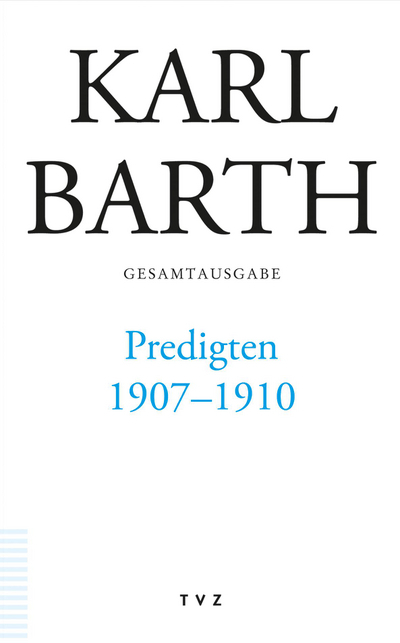 The critical edition of the work opens it up to modern readers and by doing so opens up the history of Zurich in a way that contemporary history simply cannot do. Accordingly, this work is indispensable for students of the Reformation. Indispensable. It cannot, and should not, be ignored. Rather, it should be consulted and made use of. Further, it belongs on the shelves of researchers and libraries around the globe. If other acquisitions need to be set aside for budgetary reasons, this one should be obtained. Tell your librarian, your spouse, your church, your neighbors, your family, and anyone who may have a little spare cash to pitch in and get it. 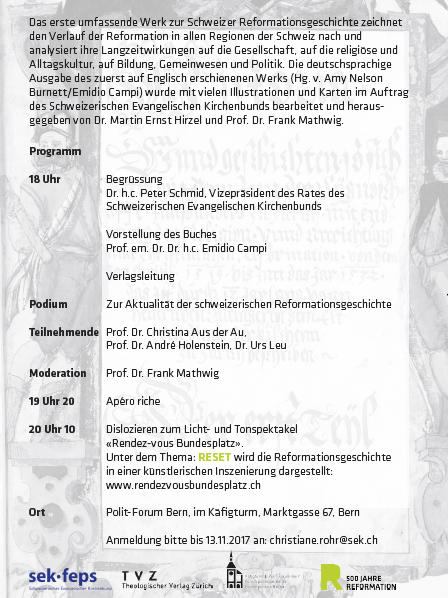 Now, if we can just get a critical edition of The Reformationsgeschichte! 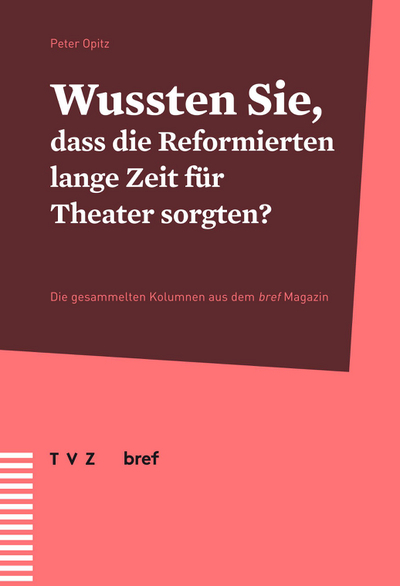 Wussten Sie, dass die Reformierten lange Zeit für Theater sorgten? A little collection of essays by our own Peter Opitz has been published by the great folk at TVZ. 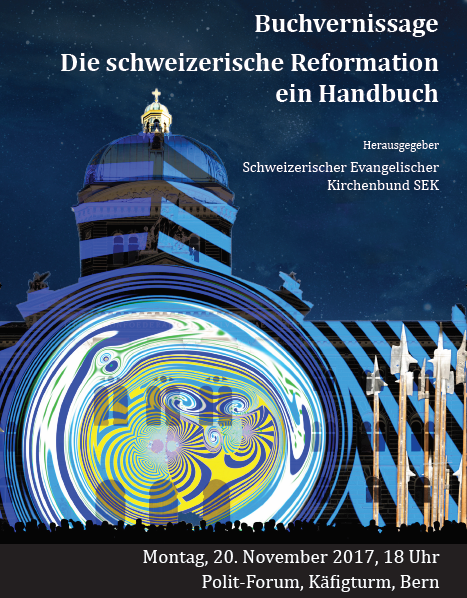 For those unfamiliar with Bref Magazin, it is a periodical focusing on issues of interest to the Reformed community in Switzerland and the wider world. It commenced in 2016 and has been regularly published since then. From time to time the very gifted Reformation scholar Peter Opitz has contributed brief pieces to the magazine. Those are here collected and made available in one convenient place for interested readers. 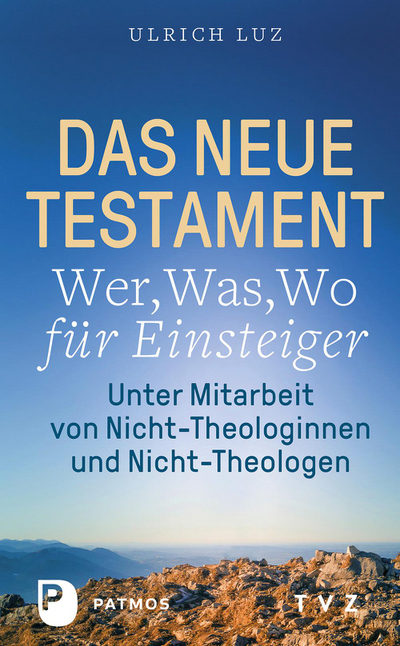 Each essay is about a page and a half or two pages at the maximum and they cover a variety of topics from the confusion of Luther with Zwingli in the popular mind to the part women played in the Reformation to laughter as a sign of God’s Spirit to whether or not the Reformed are also ‘Protestant’ to the illustrations of the Froschauer Bibel to Zwingli’s appreciation of music to Zwingli’s Hebrew teacher and many others. It is wide ranging and informative and delightful and a bright example of scholarship for the masses. This little 49 page volume with it’s twenty-one ‘Did You Know?’s is the perfect little introduction to Church History questions that are insightful, humorous, witty, and instructive. If you read it, you will enjoy it. I promise. 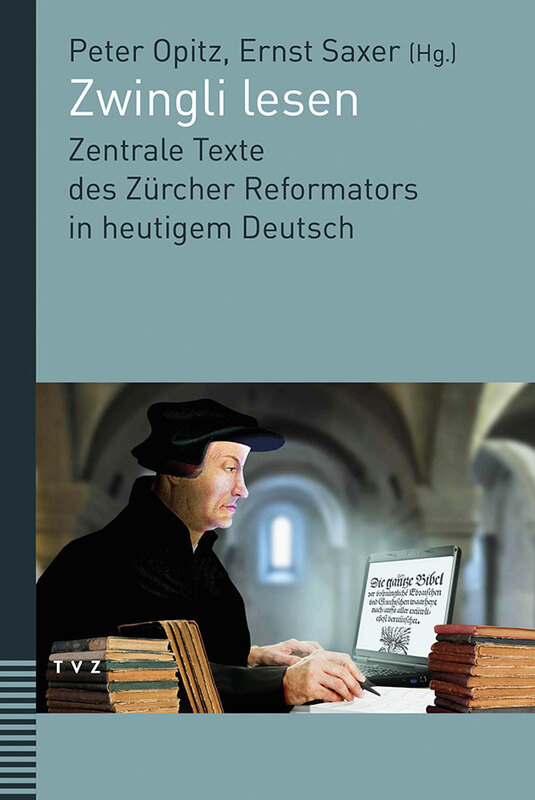 Dieses Lesebuch enthält deshalb die zentralen Texte von Zwingli selbst – und zwar in verständlichem heutigem Deutsch. Darüber hinaus wird jeder Text eingeleitet und kommentiert. Vollständig wiedergegeben werden: Das Pestlied (1520), Die Klarheit und Gewissheit des Wortes Gottes (1522), die 67 Thesen oder Artikel (1523), Göttliche und menschliche Gerechtigkeit (1523), Eine freundschaftliche und ernstliche Ermahnung der Eidgenossen (1524), die beiden Berner Predigten (1528) und das Kappelerlied (um 1529). Auszüge aus weiteren Texten und einige zentrale Briefe Zwinglis ergänzen den Band. TVZ have provided a review copy. And I’d like to first offer a photo of the table of contents- not merely to show what the volume contains, although that’s quite important- but to show how really very lovely the font is. And the photo doesn’t do it justice. As to the works by Zwingli included here, the choices made by our learned editors are extremely appropriate. These short works all show the mind of Zwingli at its most brilliant and the mixture of letters and theological treatises is superb. Those looking for a first hand introduction to Zwingli’s theological notions, via primary rather than secondary sources, should start here. And then proceed to the 4 volume collection of Zwingli’s works in modern German by the same publisher. And then on to the critical edition, also by the same publisher. With these volumes, this publisher is living up to the first name by which it was known- the Zwingli Verlag, Zurich. 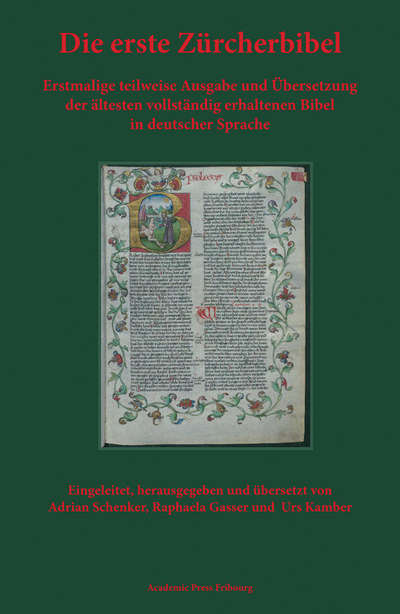 The contents of the present work are punctuated by excerpts from Bullinger’s Reformationshgeschichte where color illustrations, by hand, are included in that fabled tome. I have to admit that I find such inclusions utterly endearing. I love this publisher because it constantly produces volumes that really, really matter. This is such a volume. It is a work of art and a work of scholarship. Concerning the translations of these key works by Zwingli with which this volume is populated; they are incredibly well crafted. Zwingli is very, very hard to translate simply because he works in his own 16th century Swiss German and Latin. He likes words, and like Luther he was super at creating new ones and using old ones in new ways. This makes him both incredibly fun to read and incredibly hard to translate for modern folk. Indeed, Zwingli’s German and Luther’s German were so different that the two theologians couldn’t understand each other at Marburg and had to use Latin. Because Zwingli’s language is so arcane, anyone capable of translating that language into a modern language should receive a prize of some sort. And that goes doubly for those who do it well like Opitz and Saxer. Zum zehenden. Empfindstu, das es dich gewüß macht der gnaden gottes und ewigen heils, so ist es von got. 10. Spürst Du, dass dir die Gnade Gottes und das ewige Heil zur Gewissheit werden, so ist das von Gott. I challenge you to do better. I don’t think it can be done. 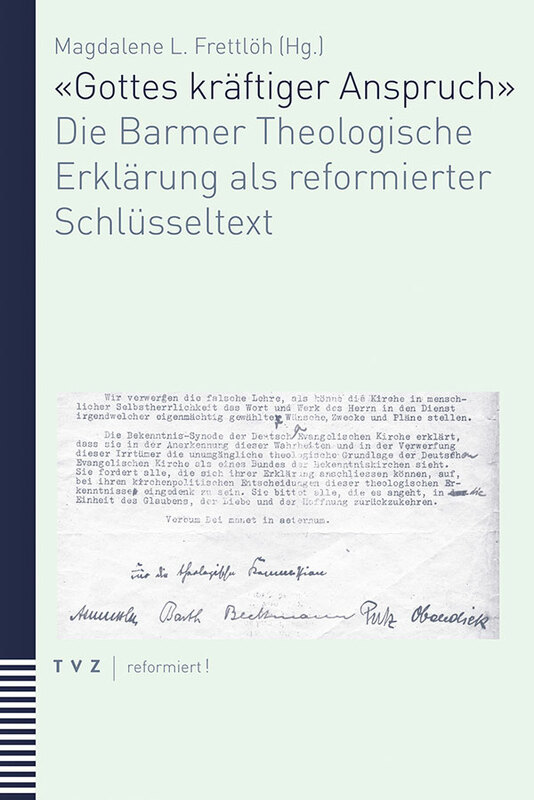 Opitz and Saxer have assemble as well a very brief but useful bibliography (though it pains me that my own work on Zwingli is not included) and they include footnotes in the body of the text but these are kept to a bare minimum. At the conclusion of each text they also have the original source cited so interested persons can make their way to it. And, finally, at the very end of the volume is an index of chief subjects so that if readers want to look in on Zwingli’s understanding of ‘Taufe’, for instance, the pages where that subject is touched upon are easily discovered. By now readers of this review have surely sensed that I think in highly commendable. If they haven’t, allow me to say it more forthrightly: I love this book. Not just because it’s Zwingli, but because it’s so well done. I recommend it to you. Without hesitation or ambiguity. It’s super. TVZ sent a review copy. The central question which occupies the present volume is a simple one: is the Barmen Declaration still useful? In an attempt to answer this question, the contributors first describe and discuss the six theses of which the Declaration is comprised (Part 1). Then a consideration of the Declaration’s biblical and historical contexts is proffered (Part 2). And then finally the ‘reception history’ (for lack of a better umbrella term) is examined (Part 3). 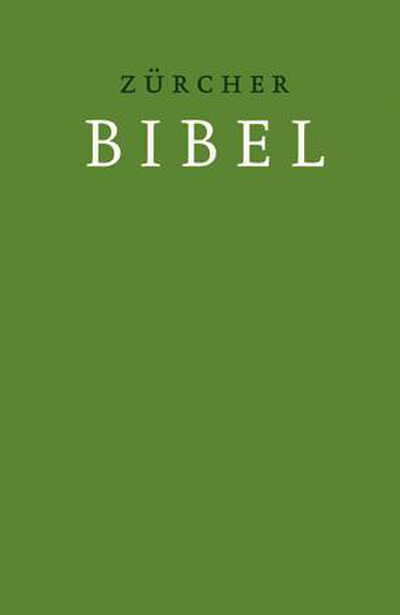 The volume concludes with an index of biblical texts and a brief bio of the collection’s authors. The essays here collected were originally papers delivered in Bern at a series of lectures commemorating the 80th anniversary of the Declaration. Fourteen essays by as many authors cover the topics described above and some of the contributors are ‘super-stars’ in the historical theology field. These include Gottfried Wilhelm Locher, Peter Opitz, and Peter Winzeler. As can be seen, the essays all cohere around the theme of the work. They are uniformly well written and very helpful indeed- not only in assessing the ongoing relevance of the Declaration but in setting the text in its historical setting. I feel quite comfortable in recommending this volume and it isn’t saying too much if I suggest that readers will thoroughly enjoy it. I did. It begins with the right tone and carries that tone to the conclusion. The font is lovely and the several photographs of the Declaration which open the work are very interesting indeed given their marginalia. The declaration’s final word is true of Scripture, and it may also be true of this important document. Our volume faithfully informs us of its abiding significance and if history, as they say, repeats itself, we can expect the Declaration to retain its importance for as long as human history continues. WAS: 3x unser diesjähriges Buch mit Weihnachtsgeschichten und eines aus früheren Jahren. 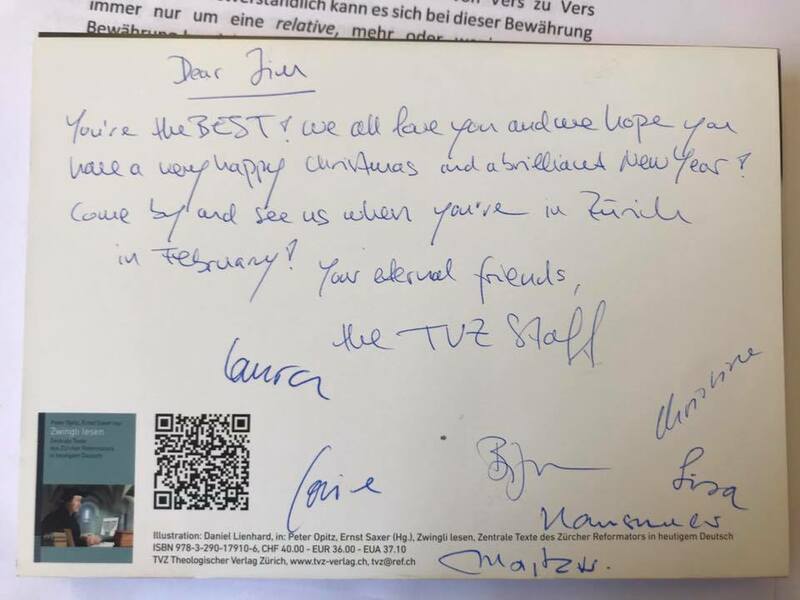 WIE: Mail bis 14.00Uhr an tvz@ref.ch mit eigener Adresse und Titel des gewünschten zweiten Büchleins (zur Inspiration: http://bit.ly/Weihnachtsbücher_TVZ) – am Nachmittag losen wir im Verlag die Glücklichen aus. WARUM: Nur so, weil Montag ist. The publisher has graciously provided a review copy. More in due course. Learn more about the volume here.